Dr. Sadiq Kazi has 13 years of vast experience in medical laboratory in identifying and staging diseases in Hematology, Immunology, Biochemistry and Clinical Pathology. He completed his MBBS degree in 1997 from Dr. D.Y. Patil Medical College, New Mumbai. He obtained his MD degree in Pathology in 2004 from prestigious GS Medical College KEM Hospital, Mumbai. He worked as an Assistant Professor in Somaiya Medical College Mumbai, continued working as Pathologist at New Mumbai Municipality Hospital and MGM Hospital Vashi New Mumbai. He has been working in UAE since 2007. 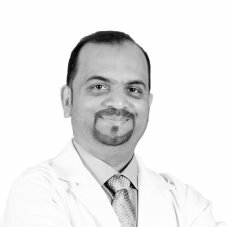 Dr. Sadiq has special interest in Hemoglobinoapthies, Anemias, Infertility studies, Infectious diseases and also attributes to accreditation process of Medical Laboratory ISO 15189, CAP.